DUBAI (Reuters) – For over 25 years, expatriates celebrating Christmas in Dubai have been able to buy large, fragrant Christmas trees imported from Canada and the United States – a seasonal treat in the desert Gulf state. On a sunny day with a cool breeze, a far cry from a white Christmas but typical for winter in Dubai, plant sellers opened up their trucks in the crowded working-class Satwa district. 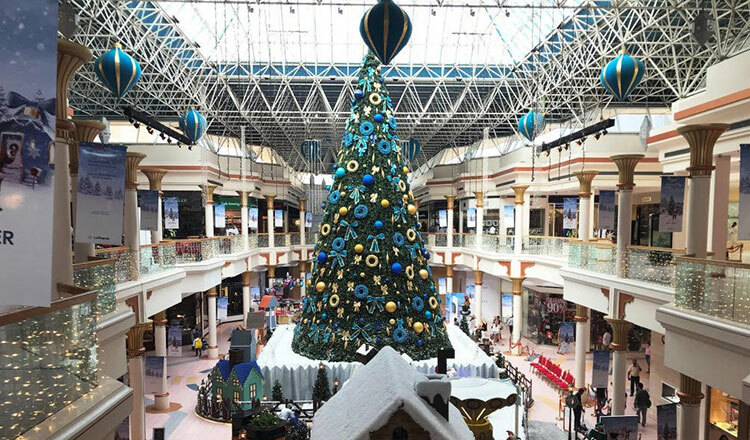 Buyers can pay anything from 200 dirhams ($54) for a 1.6m (5 ft) tree up to 5,000 dirhams for giant ones. But prices are rising, buyers said. Two years ago, Monica Wojciechowska, a Polish expat who has lived in Dubai for 17 years, said she bought a tree for 200 dirhams while this year the same size tree costs 450 dirhams. She tried to bargain, but seller Abdul Sanju had his arguments ready. “We don’t grow in Dubai, in Dubai we don’t have the climate. If it was in Dubai, I’d sell for 200,” Sanju told her. Prices have gone up because of custom duties, he said. When Sanju’s boss Muyinuddin Rafi started his Christmas tree business more than 25 years ago there were only a few shops, but now buyers have more choices as supermarkets and big stores have joined the market. Customers still come to the sellers’ trucks though, because “they can actually see the tree, know the thickness, know the bushiness,” said Sanju. As the sun began to set, Bon Chandana, a Sri Lankan hospital worker, came to buy a Christmas tree with his son. In the past, he said, he had spent up to 600 dirhams on trees.